Diplomatic efforts for regional peace. 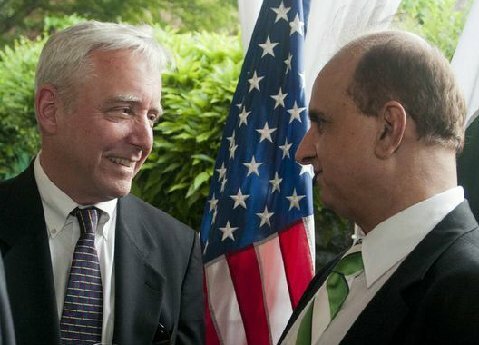 Diplomatic efforts for regional peace Dr. Kathio speaks with US States department's Special Representative on Afghanistan and Pakistan, Ambassador David Pearce in Washington DC on importance in the ongoing peace process in Afghanistan. bilateral relations and regional situation including latest the developments in Afghanistan.